Care to try your hand at deep sea fishing, spearfishing, or just want to customize your own trip with the powerboat? Our Charters are here for that. We can take you out for the day (half or full), or we can take you camping for a few days to really give you your fishing fix! 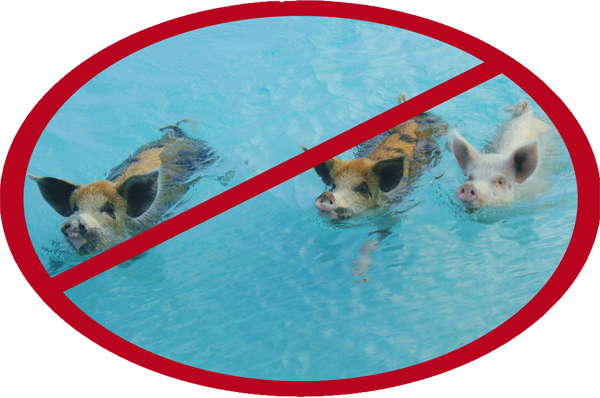 Sorry, no swimming pigs on these trips! Available for up to 5 guests for 4 hours of boating. Our half day charters start at the Georgetown government dock. We will meet you there and head out on the water. We provide all the fishing/boating equipment and drinks. We will supply your mask and fins also. All you need to bring is a towel and personal items such as sunscreen, sunglasses, a camera, etc. If you'd like to bring additional beverages and snacks, we will have a cooler with ice that you can use to chill them. Available for up to 5 guests for up to 8 hours of boating. Trips must be back to the dock by 6pm. Charters start at the Georgetown government dock. We will meet you there and head out on the water. We provide all the fishing/boating equipment, masks, fins and drinks. We will have a cooler with ice if you wish to bring any additional drinks and food. We can plan to go to Chat-n-Chill, St. Francis or another nearby restaurant, or you are welcome to pack a lunch that we can enjoy on our own private island. Plan to bring a towel and personal items such as sunscreen, sunglasses, a camera, cash for lunch, etc. Available for up to 5 guests for 6 hours of boating. Our Sandy Cay Charters start at the Georgetown government dock. We will meet you there and head out on the water. We provide all the boating equipment, shade tarp, drinks and a cooler with ice. All you need to bring is a towel and personal items such as sunscreen, sunglasses, a camera, additional drinks, snacks, etc. 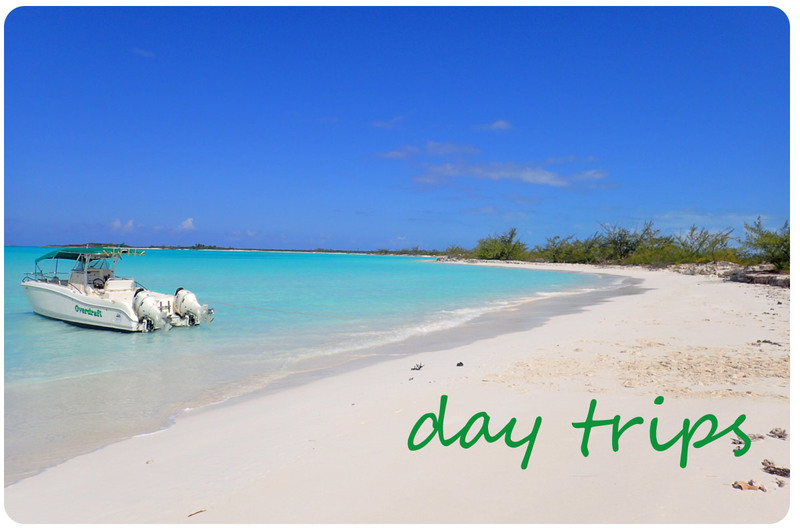 This trip will take you down south of Great Exuma (a little less than an hour one way) to the location where the famous Pirates of the Caribbean movies were filmed. You will have a chance to walk around and explore this amazing island that is nestled among beautiful sandbars, crawling with curious rock iguanas, covered in oolitic sand (trust me, it's really cool), and last, but not least, completely surrounded by water so blue you won't believe it isn't filtered in the photos until you see it for yourself! Good weather and tide times play a big factor in this trip! Minimum 4 people. Spend 3-4 hours snorkeling our favorite spots in and around Elizabeth Harbour. 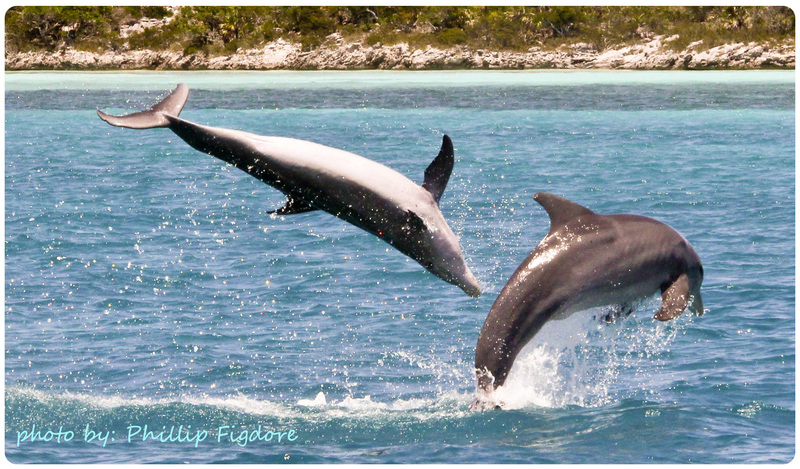 We'll explore coral reefs, blue holes, looking for turtles, dolphins, starfish, stingrays and more along the way! Trips depart from the George Town government dock. We will meet you there and head out on the water. We provide all snorkeling equipment and drinks. All you need to bring is a towel and personal items such as sunscreen, sunglasses, a camera, etc. If you'd like to bring additional beverages and snacks, we will have a cooler with ice that you can use to chill them. Minimum 4 people. Spend 3-4 hours kayaking sit-on-top kayaks around the exquisite Moriah Harbour Land & Sea Park down near Little Exuma. You will paddle through mangrove channels that serve as a nursery to many juvenile fish, sharks, stingrays and birds. The quieter we sneak through, the more wildlife we'll experience. We will get out at a beautfiul beach that has it's very own natural 'lazy river' running along beside it. Trips depart from the bridge that connects Great Exuma to Little Exuma. There is a gravel parking area if you are driving yourselves. We will meet you there and head out on the water. We provide all kayaking and paddling equipment. We will have water and light snacks as well. All you need to bring is a towel and personal items such as sunscreen, sunglasses, a camera, etc. If you do not have a waterproof bag to place items in, let us know and we can provide one. We can offer you chartered sails in our Sea Pearls, as well. Or if you'd like to learn how to sail one, we can work with you on that also. If you'd like to discuss the Sea Pearl lessons or charter, please contact us. We have many other sailboats to offer some really exciting sailing opportunities on as well, please go here for more information about these boats! Available for up to 5 guests. These trips can be anywhere from 1 night to 5 nights of camping or lodging. We will meet you at the Georgetown government dock and head out from there. We will provide you with all the fishing/boating gear, camping equipment (if camping) or hotel reservations, food, drinks and boating needs for the duration of your trip. This trip opens the field up significantly and will allow you to explore more territory and cover more ground on your fishing or boating adventure. We can combine spearfishing, deep sea fishing, snorkeling and exploring and show you the best of it all. Your route will be customized to suit your needs. We could camp at a different beach each night, setup camp at a central island and fish the surrounding waters, stay in a local hotel on one of the cays, mix it up with camping and hotel lodging, etc. The sky is the limit on the possibilities. Your guide will prepare all your meals on the trip and show you the very best our out-islands have to offer. Please contact us for more specific details on your private charter.